A KARE 11 investigation finds commercial real estate developers who fail to pay property taxes on unsold lots, keeping school districts and local governments waiting years for much needed revenue. WOODBURY, Minn. — On paper, Georgia real estate developer James C. Wallace, Jr., does not appear to be a person of meager means. He owns a $2.5 million vacation condominium in the heart of Vail, Colorado, within walking distance of the famed ski slopes. He’s also had ownership interests in a group of California steakhouses and a Sarasota, Florida, shopping center. But in Minnesota, public records obtained by KARE 11, show that Woodbury Developers LLC, the real estate company he created here, is a property tax deadbeat. It’s an example of how, year after year, some developers avoid paying taxes on vacant lots that aren’t generating income. The company has a decade-long history of paying Washington County property taxes late, or sometimes not at all. Records show Woodbury Developers LLC recently failed to pay taxes on one parcel for five years in a row. Vacant lot where a Georgia developer failed to pay taxes for five years. In all, late payments on the company’s properties have kept the county, city of Woodbury and school districts waiting years to get their share of overdue taxes, assessments and penalties totaling more than $4 million. 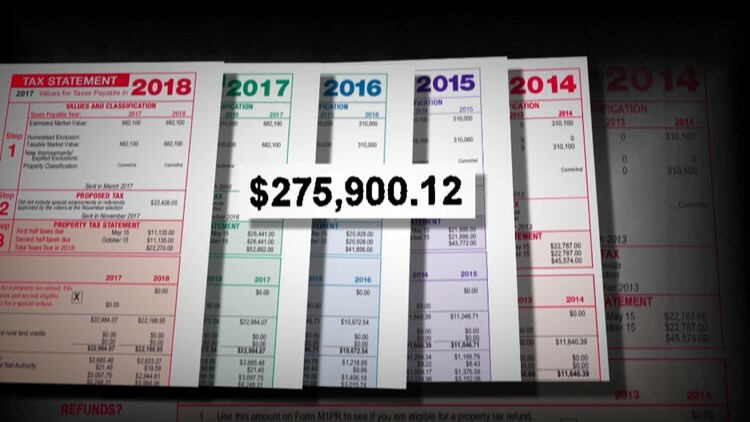 KARE 11 obtained property tax data from 10 Twin Cities area counties and found that developers are among some of the region’s top delinquent taxpayers. In Burnsville, a businessman owes Dakota County just over $286,000 in back taxes on 150 mostly undeveloped acres. An attorney for the owner says they are appealing the county’s valuations of the properties. In St. Paul, an Arizona company that hopes to build apartments and office space on 10 acres of land along the Mississippi River owes Ramsey County more than $330,000. 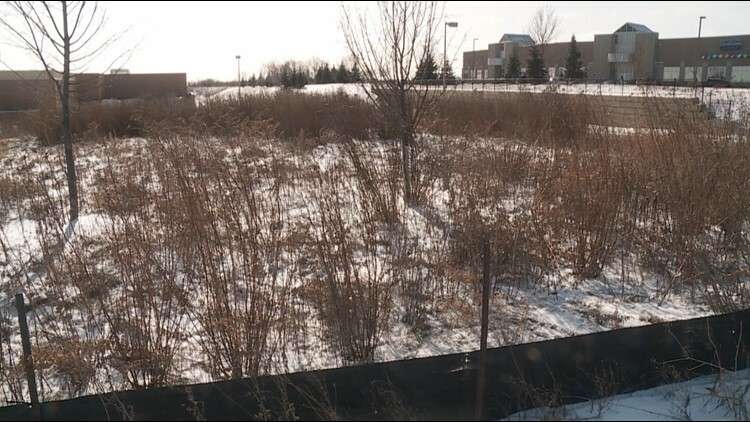 And in North Branch, a different developer owes Chisago County more than $335,000 on three vacant lots in a shopping center just off I-35E. That’s about a third of all delinquent taxes owed the county. KARE 11 attempted to contact Wallace and the Ramsey and Chisago County developers about their unpaid taxes. They either declined comment or did not return emails and telephone calls. 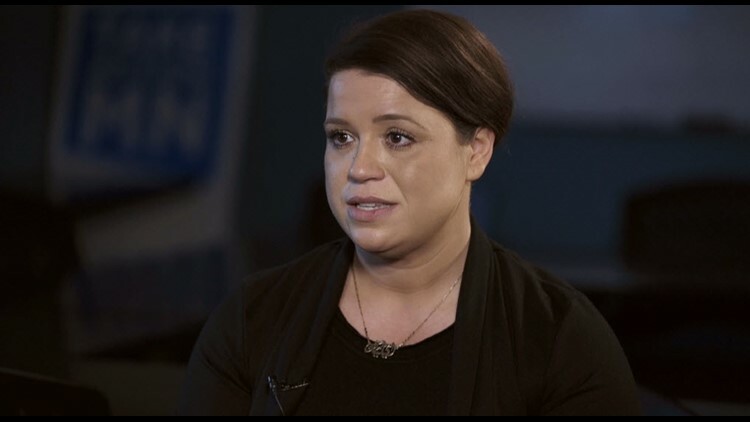 Elianne Farhat, executive director of TakeAction Minnesota, a statewide advocacy group, reviewed the KARE 11 findings at our request. “What jumped out at me was the way rich developers were using our tax system as a public loans program,” she said. Elianne Farhat, Executive Director of TakeAction Minnesota. She described the practice as “deeply disturbing” and called for changes to close such property tax loopholes. Farhat was talking about developers such as Wallace, whose company hoped to transform a 40-acre tract of cornfield it purchased in 2004 into Commerce Hill, part of a sprawling retail and office center just south of Interstate 94 in Woodbury. Woodbury Developers paid no taxes on the then-vacant land from 2006 through 2009, according to property records. 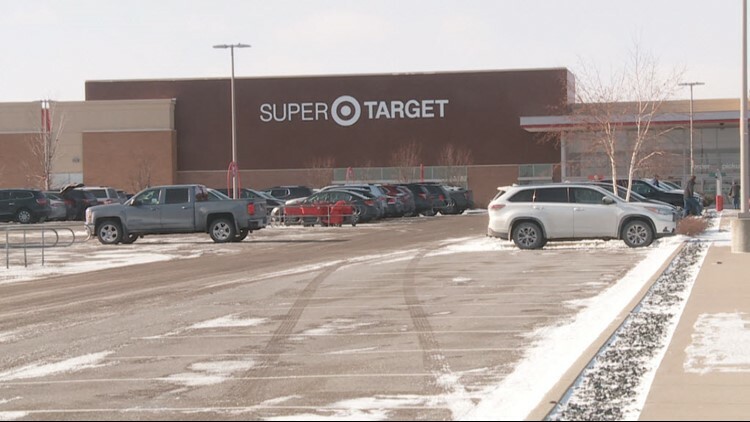 The company finally paid up in 2010, but only after city officials threatened to block the sale of land for a new Super Target store if the delinquent taxes weren’t settled. Meanwhile, local governments were left waiting years to collect the $1.6 million in back taxes and penalties owed by the developer. Super Target in Woodbury, Minnesota. A similar pattern has played out multiple times over the years with other vacant parcels owned by Woodbury Developers. Taxes often went unpaid until the lots sold. Property tax experts say tax laws allowing the practice were intended to help homeowners avoid foreclosure if they fell on hard times, giving them several years to catch up on taxes and pay off the debt. Some developers use that same lag time to avoid paying taxes while they try to sell their properties at a profit, critics say. “It doesn’t surprise me that some developers choose to do it,” University of Minnesota professor Jay Kiedrowski said. He’s seen it happen before, when he served as budget director for Minneapolis and as Minnesota’s Finance Commissioner. By not paying taxes on time, Kiedrowski said developers are, in effect, getting a loan from local governments rather than a bank. “Being able to borrow without having to put up collateral is a real advantage for them,” he said. KARE 11 investigative reporter A.J. Lagoe asked if such developers are, in effect, getting unsecured loans on the taxpayer dollar? Jay Kiedrowski, Senior Fellow, University of Minnesota Humphry School of Public Affairs. And what happens if a hoped-for development deal doesn’t pan out? Consider the case of a vacant lot in the Woodbury retail development. It’s one of just two unsold parcels remaining in Commerce Hill, which besides the Super Target, now includes a pre-school, medical offices, and newly built restaurants and shops. Records show that Woodbury Developers LLC paid no property taxes on the lot in 2014, 2015, 2016, 2017 and 2018, running up a delinquent tax tab totaling more than $275,000 while waiting for would-be buyers to make offers that never came. Instead of paying up, the company gave up the property last summer, forfeiting it without paying a dime of taxes for five years. But no bidders surfaced at the county’s tax forfeiture auction in November. Washington County is now the one stuck trying to sell it, hoping to recover at least some of the money that taxpayers spent on infrastructure and other improvements in Commerce Hill over the years. Records show that Woodbury Developers LLC paid no property taxes on the lot in 2014, 2015, 2016, 2017 and 2018, running up a delinquent tax tab totaling more than $275,000. Meanwhile, a second vacant lot owned by the Georgia developer in the same retail center may be headed toward a similar fate. Records show that the developer ignored property tax notices it received from Washington County in 2017 and 2018, and now owes nearly $158,000 in delinquent taxes and penalties on that lot. Under Minnesota’s forfeiture rules, the company could go until 2021 without paying a cent of taxes on the lot before facing a possible forfeiture. 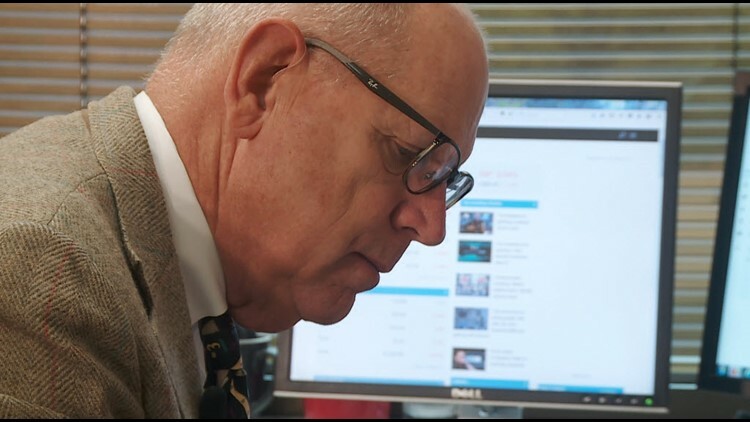 Local property tax officials say one of the most effective tools available to encourage tax dodgers to pay up is the listing of delinquent properties published in local newspapers twice each March. Ramsey County and some others send “courtesy notices” to taxpayers a few weeks ahead of publication. That’s often the nudge needed to convince property owners to write a check, said Auditor/Treasurer Chris Samuel. “Definitely,” said Samuel, adding that many taxpayers quickly pay off their debt in full or agree to a multi-year payment plan after receiving the notices. Jay Kiedrowski believes another option might be to raise the penalties for paying property taxes late. “If you made it 25 percent or 50 percent, I think developers would look at it entirely differently,” he said.